RBTH presents a selection of views from leading Russian media on international events, featuring discussion of the urgent need for reform as Russia’s economic crisis deepens, as well as reports on the visit to Moscow by three Middle East leaders and the postponement of Russian plans to put a man on the moon. Analyzing the impact of the crash in global indices, the drop in oil prices and the new weakening of the Russian ruble on Aug. 24, the Russian centrist daily Nezavisimaya Gazeta writes that there is a clear need for reform of the Russian economic system, but notes that the government has no clear vision of what these reforms should be. However, it is now that the authorities must take the decision to continue reforms that they were spared of the necessity of carrying out in the 2000s due to rising oil prices, the newspaper writes. “Life may force them to review the provisions of the anti-crisis plan. In contrast to the 2008/9 crisis, the situation is different now, and the crisis will not end that quickly,” Igor Nikolayev, director of the Strategic Analysis Department FBK, told Nezavisimaya Gazeta. On the other hand, the chances are always there for reform, but it will not be easy for the government to abandon Russia’s traditional centralized management of the economy. “The authorities are not yet ready for this,” said Nikolayev. However, the government can take a number of effective measures to balance the budget in the current circumstances. For example, refusing to finance infrastructure projects or raising the retirement age could help to save funds. 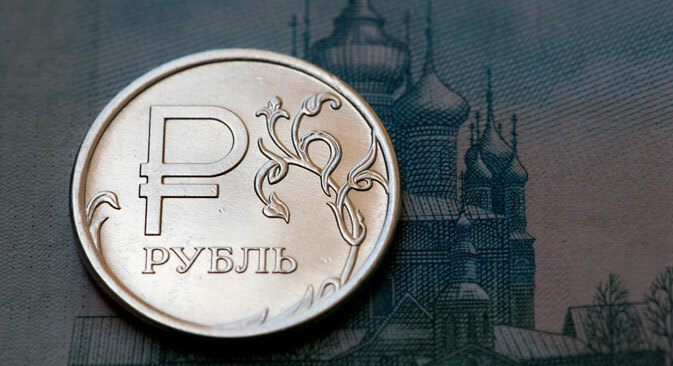 At the same time, the Central Bank is unlikely to intervene in foreign exchange auctions in the current situation, said Emilia Sibiryova, FinExpertiza-Kapital’s deputy CEO. “Intervention is possible only in case of panic on the currency market. In this case, the key interest rate may be increased or restrictions on the movement of capital may be introduced,” Nezavisimaya Gazeta quotes her as saying. The article argues that even if the Central Bank intervenes in the situation, the national currency will continue to fall. The economic crisis has also affected Russia’s ambitious plans in space exploration. In particular, due to budget cuts the state space agency Roskosmos has been forced to postpone the implementation of the national project – the landing of a man on the moon, followed by the creation of a lunar base, reports daily broadsheet Izvestiya. According to the developers of the Federal Space Program for 2016-2025, submitted by Roskosmos for consideration to the ministries and agencies, a manned moon landing in 2030 is impossible, says Izvestiya. “Financing has been reduced approximately two-fold, resulting in a delay in the creation of the lunar landing complex and start of flight tests for two or three years,” explained a spokesperson for Roskosmos. The flight-testing of the lunar landing complex is expected to begin in 2029/30. Three leaders from the Arab world will arrive in Moscow simultaneously to meet with Russian President Vladimir Putin on Aug. 26 and discuss the problems of the Middle East settlement, reports the website Gazeta.ru. King Abdullah II of Jordan, Egyptian President Abdel Fattah el-Sisi and the crown prince of Abu Dhabi, Sheikh Mohammed Al-Nahyan, will arrive with their own agendas, but the presence of three leaders of the Arab world in Moscow has led the media to call the visit an “Arab summit” or “landing,” says the website. The Prince of Abu Dhabi will discuss with Putin the issues of forming a common security system in the Persian Gulf, the King of Jordan – the Syrian issue, and the Egyptian president – the settlement of the conflict in Libya. However, in spite of the difference of agendas, the leaders of all the three countries are interested in the settlement of the conflict in Syria, Gazeta.ru points out. According to the head of the Institute of Religion and Politics, Arabic studies expert Alexander Ignatenko, the visits by the Arab leaders point to the formation of a coalition to oppose the Islamic State (ISIS) radical militant group, which was proposed by Putin.